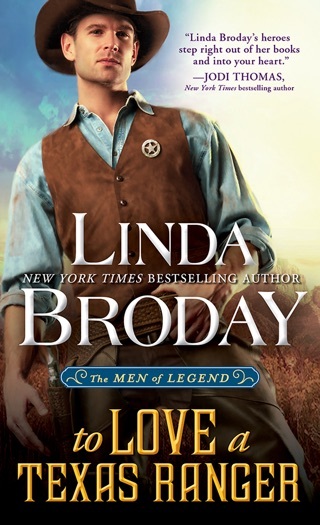 The son of a notorious outlaw, Roan Penny yearns to make his life count…but heroism comes with a price. Left badly injured, only the kindness of a gentle stranger can save him. 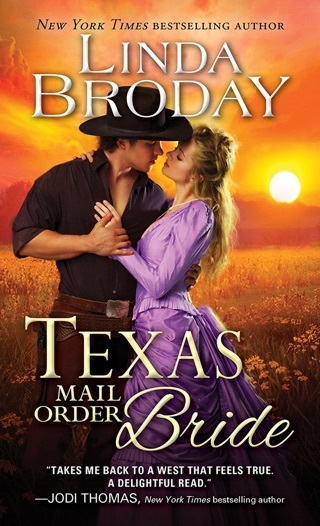 He longs to be with the captivating beauty—his savior, his Texas star, his Marley Rose McClain—but he knows he’d bring her nothing but trouble. Marley’s lived a charmed life, and she’s determined to spend the rest of her days at her quiet hero’s side…but she isn’t what she seems. A life-long secret threatens to destroy everything she knows—and everything she could hope to be. As dangerous men threaten to pull her back into the shadows, a desperate Roan must ride hell-bent for leather to save the other half of his heart…before he can lose her light for good. 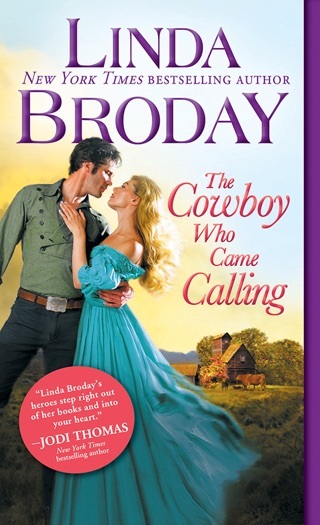 Broday's riveting third Texas Heroes historical romance (after The Cowboy Who Came Calling) pits a young couple against frontier violence and long-held secrets at the turn of the 20th century. Marley Rose McClain discovers a badly beaten Roan Penny victim of a hooded mob in neighboring San Saba County by the side of the road. The highly competent, artistic young woman nurtures him back to health using the skills she learned from caring for the endless parade of her parents' foster children. 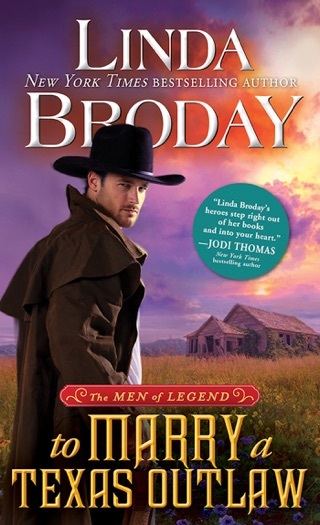 Budding lovers Roan and Marley embark on a complicated reconnaissance mission to learn the name of the leader of the exceptionally youthful gang, and they also find a connection between the gang and the cattle rustlers siphoning hundreds of cows from Marley's unpleasant father. The scheme brings Marley to the attention of a creepy man named Will Gentry who fixates on her. The search for the gang and the effort to keep Gentry from kidnapping Marley culminates in a series of perfectly executed shoot-out scenes and an entirely satisfying happy ending. Fans of the previous books will enjoy returning to the McClain clan, and new readers will appreciate the story's layered mysteries, emotional depth, and believable scenes of attraction. I received a complimentary copy of this book from NetGalley and I am voluntarily reviewing it. I just loved this book. Marley Rose, Duel and Jessie McClain are reappearing from the first book in this series but years later with Marley Rose all grown up and getting her own adventure. I am so happy to see the McClains again. I have fallen in love with them since that first book. Even Luke and Glory from the second book make an appearance. YAY!!!! This was just an emotional story. It was a hard one to put down. The action and adventure start from the first sentence of the book. Yes, there is violence in this book like one reviewer mentioned but that didn't detour me from this. Violence was a part of the history of the country (and still here today). The people of this time were strong-minded and strong-willed and over came since violence to find their HEA. I just loved Roan. He was the perfect mate for Marley. I was drooling all over him. I'm surprised my e-reader still works. Young Matthew was a wonderful addition to the story. This book is a roller coaster ride filled with dastardly villains, life and death struggles and exciting characters that found their way into my heart and kept me rooting for the good guys from start to finish. 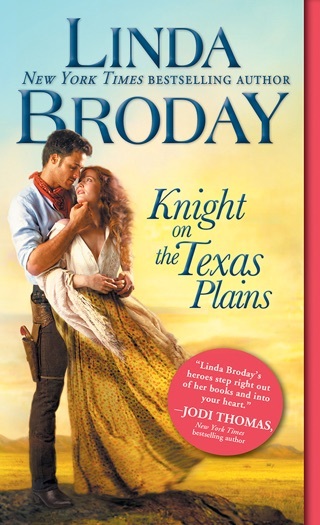 It’s the perfect combination of historical American fiction with suspense, romance and over-the-top Texas twang that was a delight to read and left me with a happily-ever-after satisfied smile on my face. Roan is a sympathetic character with a lonely and pitiful past that has him longing for a place that he can call home and Marley Rose is just the woman to care for him when he’s left beaten and half dead in the dirt road. Marley Rose is quite a character herself. She spends her days on the ranch helping her parents taken care of a whole host of orphaned children while she dabbles in writing books and painting as a creative outlet in her spare time. Unique characters and a fast paced and creative storyline is exactly what you get when you dive into this entertaining read. I read a complimentary copy of this book through NetGalley and all opinions expressed in my voluntary review are completely my own. Bonus point for self-rescuing princesses! I also appreciate that Ms. Brody writes Marley as a storyteller and artist. Marley creates stories for all the children. She also attempts to illustrate her stories with paintings and drawings. Her ability to take a small idea and make it into an full story is amazing. I’m guessing it’s a similar process that Ms. Brody goes through when writing her novels. Roan had a rough childhood and not much better luck as an adult. But what really impresses me is that, despite all his hardship, he’s capable of loving, protecting, and supporting Marley. I also really admire the connection Roan has with the adopted kids on the ranch, especially Matt. Roan sees himself in Matt and shows his true character when he’s around the children. The romance between Marley and Roan is believable, if a bit rushed. I welcomed how they support and encourage each other. For example, Roan encourages Marley to submit her stories to a publisher. And when none of the ranch hands are available to support Roan during his horse race in the next county, Marley is there for him. These two characters really bring out the best in each other. My favorite secondary character in To Catch a Texas Star is definitely Granny Jack. She’s a hoot. And I’m totally making her catch phrase my own! That makes me laugh each time I think about it. Classic Granny Jack! I also really enjoyed catching up with Duel and Jessie from Knight on the Texas Plains. For me, it’s always great to see a couple I fell in love with still happily in love after close to twenty years together. 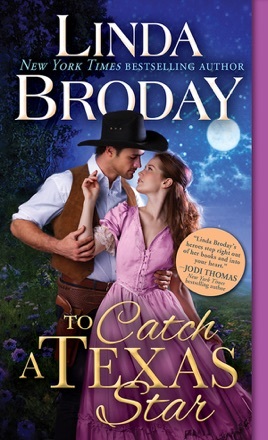 The romance in To Catch a Texas Star may have caught my initial attention, but the mystery plot kept me reading. 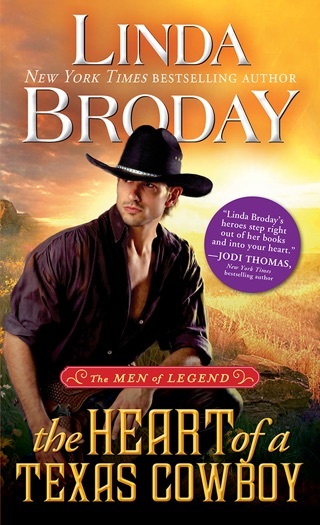 Ms. Brody does a fabulous job weaving together separate plot lines of discovering who is trying to destroy the Aces ‘n’ Eights Ranch by wrangling cattle with the mystery of who killed Roan’s friend Mose and left Roan for dead. There were a few twists and turns that I didn’t see coming in the road. Kudos to Ms. Broday for seamlessly blending the plot! Overall, To Catch a Texas Star is a great historic romance with strong, well-developed characters. Highly recommended!